Greetings from Banff! We’ll be rolling out a few videos about the artists we met there. Here's your first look. 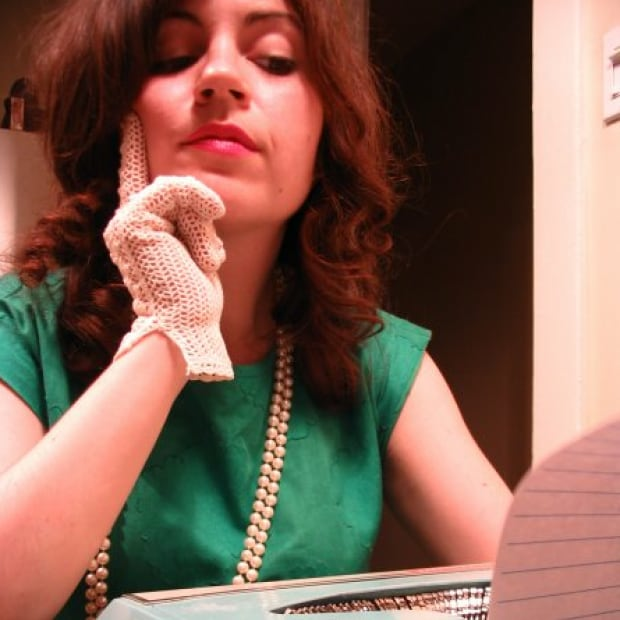 We would have sent you a postcard, but email just seemed like a better move. Belated greetings from Banff! But a few of us were in Banff National Park this October for more than Rocky Mountain backdrops and bragging rights. We'll be rolling out a few videos about the artists we met there (plus another episode of CBC Arts: Exhibitionists that'll be hosted from there, too) and we got the chance to travel west because of those projects. Those stories will roll out later this season, so here's a bit about what we were up to. The Banff Centre for Arts and Creativity hosts several artist residencies, and we wanted to show you what it means to be in one of those artist's hiking shoes — totally immersed in work and nature — so we sent a small crew to follow a couple of the folks wrapping up their programs: Svea Ferguson and Jonathan Kawchuk. Here's Svea. She's a sculptor who lives in Calgary. One of our video producers is still talking about how packed her studio was. 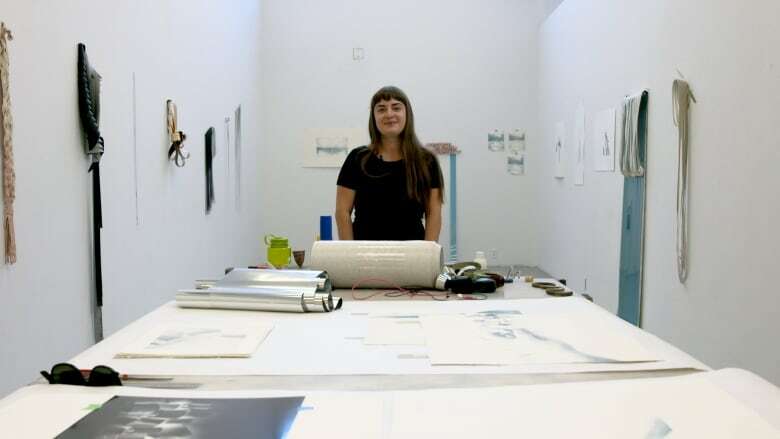 She created so much new work while in Banff, her space was apparently stuffed to the ceiling. When you leave family and your day job behind for five weeks, you're going to make the time count. 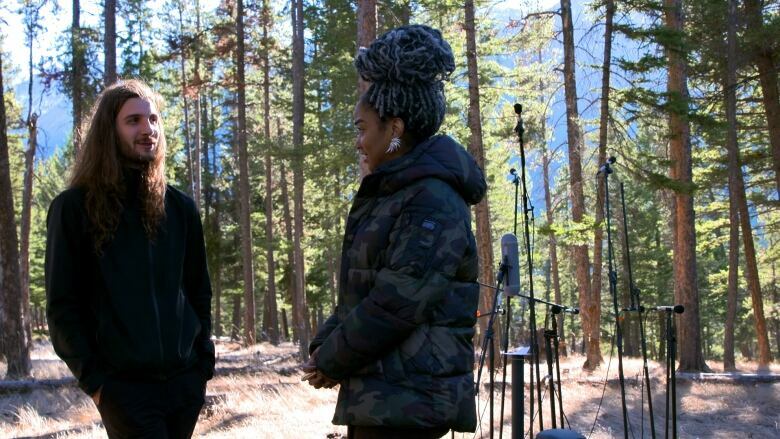 And this is Jonathan, talking with host Amanda Parris in the woods outside his studio. Before we got this snapshot, he'd been setting up audio equipment for hours so we could capture the incredible project he was developing in Banff. Jonathan's a composer. He's originally from Alberta, though he's now living in downtown Toronto — and you could say that his number one collaborator is nature itself. After writing and recording music, he'll drive way out into the wilderness, stopping when he's completely removed from civilization. Silence is key. There can't be any man-made sound: no cars, no voices, not even the crunch of hikers on a trail. 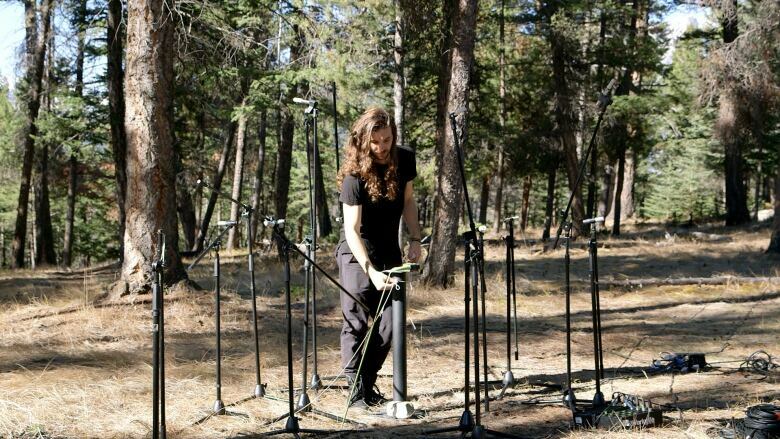 When he's found his spot, he'll set up recording equipment and play a concert for no one, letting his microphones pick up the sounds of nature and the music — which evolves into something new as it reverberates through the forest. Jonathan set up one of these recording sessions for our cameras, and what our team experienced was one of their favourite moments from the trip: a performance that made Banff seem even more beautiful than it already is, and a work of art that really encapsulated their experience there. Can't wait to show you the short doc — stay tuned. What's an Infinity Mirror Room worth to you? - Yeah, you. 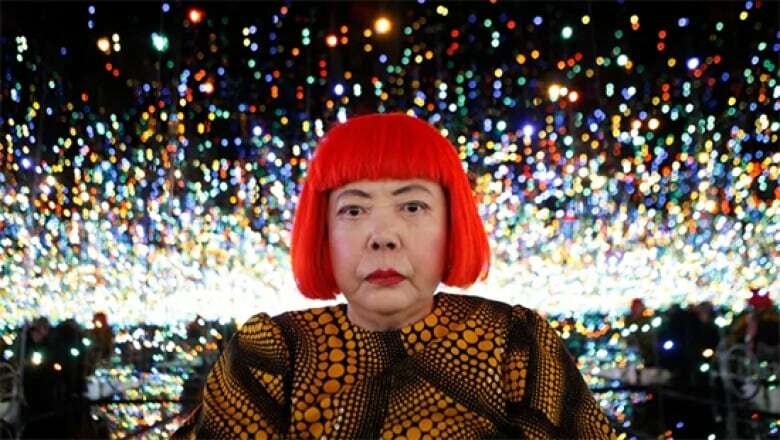 The Art Gallery of Ontario is asking people to pitch in for a brand new Infinity Mirror Room by Yayoi Kusama. They already have half the funds, but they need another $1.3 million to lock the purchase, and they're giving themselves a month to raise it. The gallery is confident they'll hit their target, especially since the Kusama travelling exhibition that appeared at the AGO earlier this year was an unprecedented smash. Would you contribute? We got the details on the campaign. Watch what happens when this dad draws superheroes based on his kid's ideas - James Raiz and his son both love to draw superheroes — it's just that James is old enough to do it for a living. But they're a dynamic duo on YouTube, where the elder Raiz (a.k.a. The Box Office Artist) has been levelling up his kid's designs and sharing timelapse videos of the process. We aired one of their latest collabs on CBC Arts: Exhibitionists. Check it out! 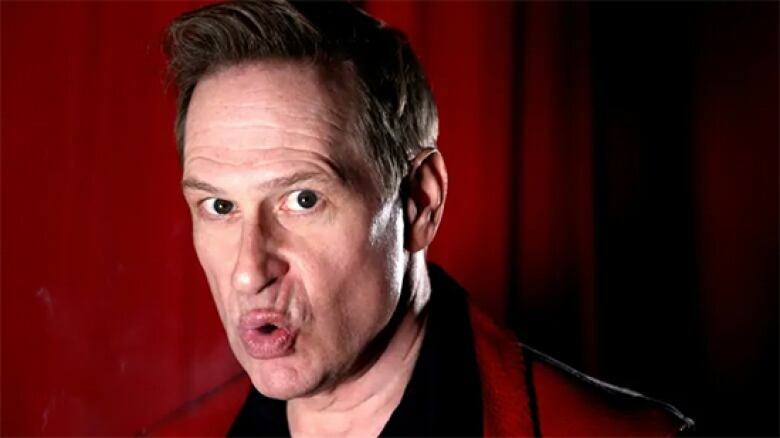 Scott Thompson is Canada's true gay national treasure - If you've ever seen a Buddy Cole sketch, you already knew that. Queeries columnist Peter Knegt talked with Thompson about the longevity of his martini-sipping alter ego and why comedy still doesn't have an openly gay male superstar. Peter Andrew Lusztyk (@peterandrewlusztyk) - Because the Royal Agricultural Winter Fair opened this weekend in Toronto (and because 99.9 per cent of people like pictures of animals), we're throwing back to this story. 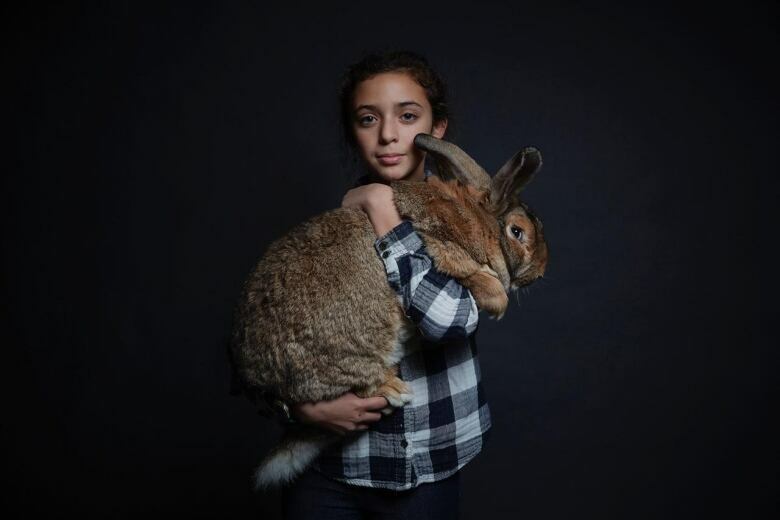 Last year, Peter brought a portable studio to the Royal, shooting hundreds of people (and critters) to create this striking photo series about the culture there. As he told us at the time: "The intention was to show off how truly unbelievable these animals are and how proud the people are of them." Got questions? Typo catches? Ideas for what you'd like to see more of in the newsletter? We asked for your Inktober drawings, and did you ever deliver!